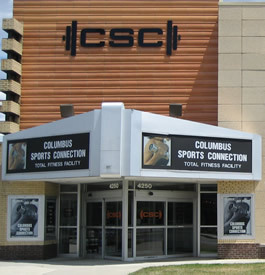 We at Columbus Sports Connection want to help to achieve your personal fitness goals. Therefore, we have developed several membership options with you in mind. We will work with you to find the membership that best suits your needs. Whether you are looking for the savings of a multi-month contract or just need something short term, we are here to help. Our friendly and knowledgeable staff looks forward to helping you make fitness a lasting part of your lifestyle. Membership prices start as low as $30 per month (2-yr. contracts). For more information regarding membership pricing or to find out more about our corporate, family or senior discount programs, please contact us by phone at 614-267-2582 (CLUB) or by email. FREE ONE WEEK TRIAL MEMBERSHIPS ARE ALSO AVAILABLE AND INCLUDE FULL ACCESS TO THE GYM, SPINNING & GROUP FITNESS CLASSES AND CHILD CARE.